All classrooms were refurbished and brought up to date with new data and wireless points. 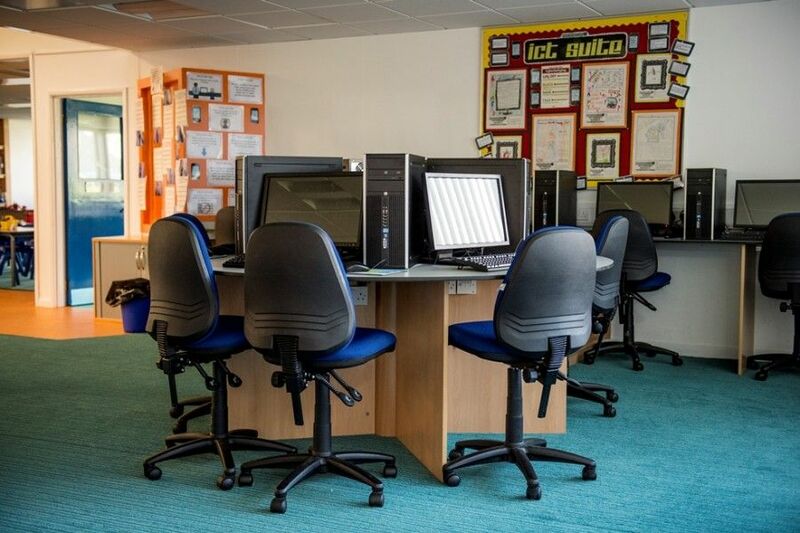 The main focal point in all the classrooms were the new media walls incorporating the original roller white boards alongside state of the art interactive smart boards, which could be linked directly to the school or a teacher’s laptop. 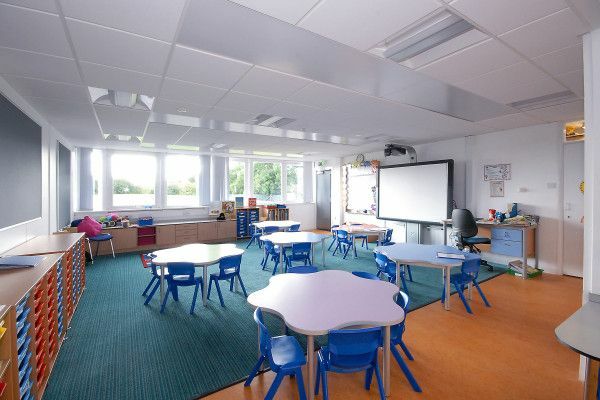 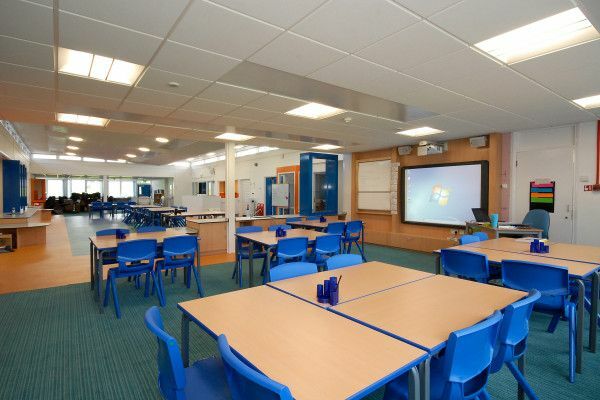 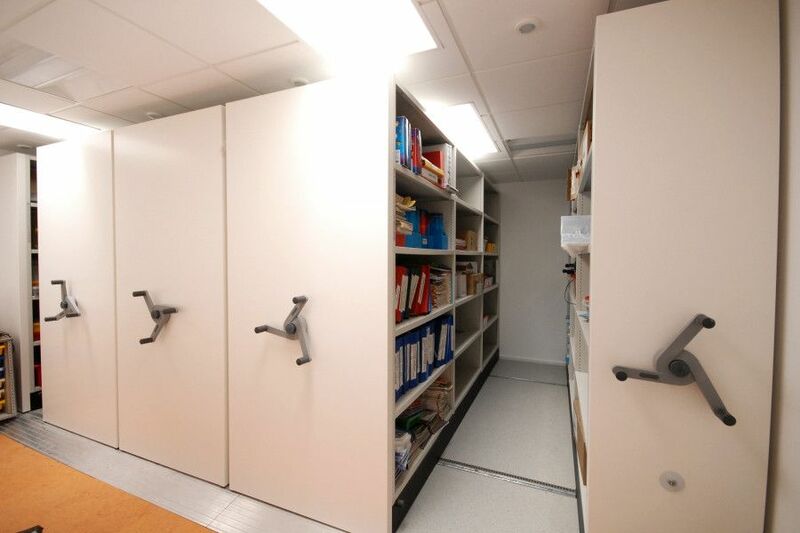 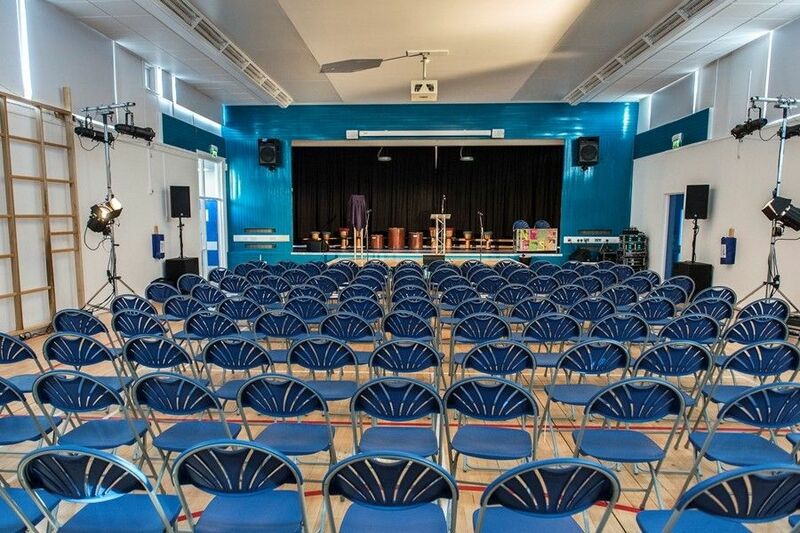 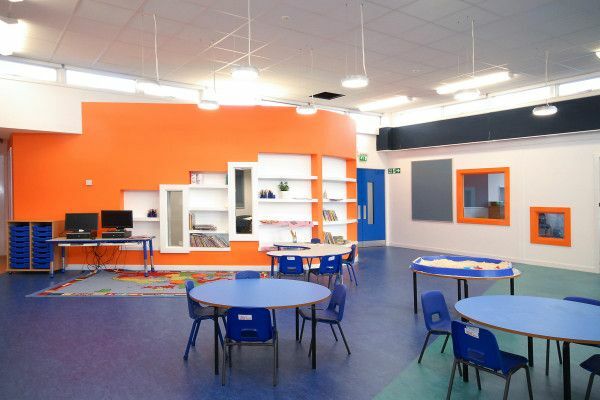 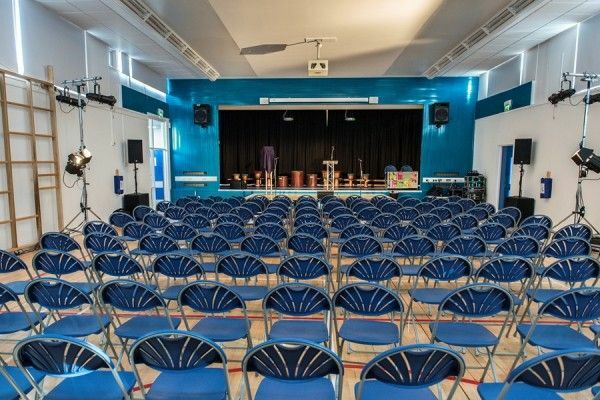 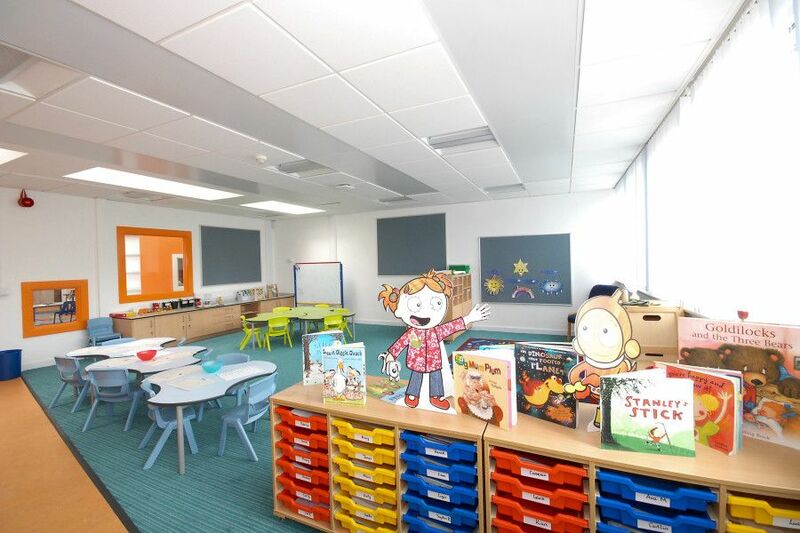 Full electrical rewiring was carried out and the heating was primarily moved to the ceiling grid in the form of radiant panels, opening up the floor space whilst also protecting the pupils from harm. The lighting was also upgraded with light fittings added to create design features within small segregated areas.